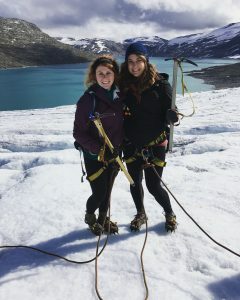 Allison (left) in Norway with her college roommate. Allison Phillips graduated from the College of Business in 2015 with a marketing degree. She is currently working for Deloitte Consulting as a Data Scientist for clients and lives in Denver, Colorado. She is also passionate about traveling and her job allows her to pursue that. Q: How have your foundations at ACU and in COBA helped you in life post-graduation? A: During my time in COBA, I had the chance to lead student organizations, conduct research with faculty, and launch a student-run analytics consultancy through Wildcat Ventures. These experiences gave me the chance to gain experience as a researcher and consultant really early in life, which made my transition from school to work much easier. Professional skills aside, COBA gave me a lengthy list of mentors who guided and supported me as I tried to figure out the career direction I wanted to pursue. Having adults in my life who listened and gave me honest opinions about the decisions I was making has had a huge impact on the way I make decisions in my personal and professional life. Q: Can you describe your work in data analytics and the experiences you’ve had with your company? A: I’m currently a Data Scientist in Deloitte’s Consulting practice, which allows me to work with different clients to understand what has happened, predict what will happen in the future, and make more effective decisions with that information. I’ve gotten to work with companies as well as federal agencies, and I enjoy the challenge of learning about new industries and continuing to develop my technical skills while solving a wide variety of business challenges. In a given week, I work with teammates from all across the country to write code, conduct statistical analysis, design experiments, build slides, and brief clients. I’ve met some really incredible people at Deloitte, and it’s been fun to work with teammates whose backgrounds are very different than mine. 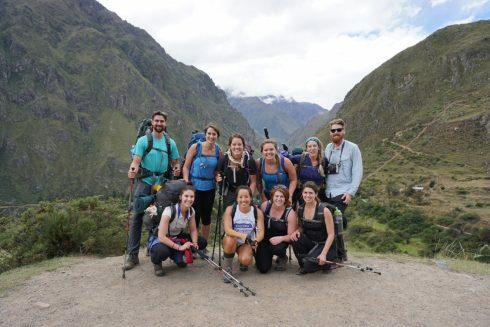 Allison with friends hiking Machu Picchu in Peru. Q: What should students who are interested in data analytics be doing while they are in school to prepare for that after graduation? A: Students interested in analytics should take data mining and programming classes to understand if they enjoy the kind of work they would be doing as a data scientist. Outside of class, students should look for relevant internships, opportunities to conduct research with faculty or job openings at ARG (the analytics piece of Wildcat Ventures). A lot of different paths lead to analytics careers so I would recommend learning some basic technical skills and looking for opportunities to apply those in ways that interest you. Q: Would you share some of your favorite memories or experiences of traveling? How do you balance that with work? A: I love traveling and definitely take advantage of all my time off! One of my goals is to visit all 59 National Parks, so I spend a lot of weekends hiking and camping with friends. Last year I also hiked to Machu Picchu with a big group of friends, road tripped through Norway with my college roommate (where we tried to break into a house that turned out not to be our AirBnB), and traveled through Southeast Asia with my family, where we ziplined to the tallest treehouses in the world. Learning about different cultures and experiencing ways of life that are different than mine is really important to me, and I’ve been lucky to have colleagues who are supportive of that. Plus it’s super fun!